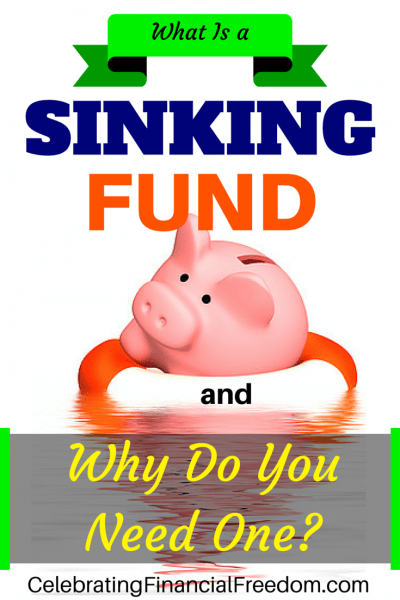 You are here: Home / Manage Money / Saving Money / What is a Sinking Fund and Why Do You Need One? One of the top things I teach here at CFF is the importance of budgeting. If you want to succeed financially, it’s absolutely essential that you have a solid plan for your money in the form of a budget. When you don’t, you usually end up like the majority of people who are living paycheck to paycheck and will never get ahead financially. Part of making a budget that actually works is learning how to build a sinking fund. In this post I’ll show you what a sinking fund is and why it’s vitally important to your overall financial health. A sinking fund is really easy to do, and it will save you a ton of financial stress in the long run when you make it a regular part of your monthly financial plan. 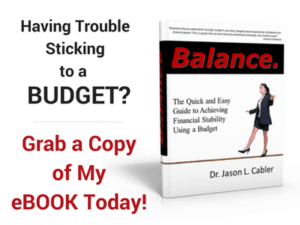 One of the most frequent questions I get when it comes to making a budget is how to account for an expense that only comes around once or twice a year. I remember back in the days before Angie and I were doing a monthly budget, those once or twice a year expenses were a serious point of stress for us. We would get our regular monthly bills paid, and suddenly the semi-annual car insurance (or other) bill would show up in the mail. Then we'd have to scramble to pay it because we had forgotten it was due that month. Of course, it should never have been a surprise. 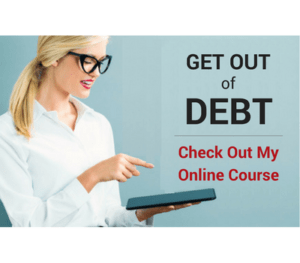 Nevertheless, we would inevitably be financially stressed because we didn’t have a solid financial plan in place and had to come up with a large chunk of money quickly. That made for some pretty heinous money fights early in our marriage. This lack of a good financial plan was also a problem when it came to paying for vacations, saving for a car, Christmas presents, and saving for a down payment on a house. We were always under the gun when it came to our largest expenses. Once Angie and I discovered our lack of planning was causing problems, we knew we had to do something. After attending a popular financial class things got a little better, but we still had no plan. We learned everything needed to start a monthly written budget, but we just never got around to actually doing it. After a couple more years of money fights, I finally took the initiative to start doing a written monthly budget. Our finances quickly started making more sense. Angie and I learned to actually communicate about our spending and make a plan in advance instead of wondering where our money went at the end of the month. But we still had one problem. Those quarterly, semi-annual, and yearly expenses would still wreak havoc with our finances even though we were doing a written budget every month. We had to figure out how to smooth out those expenses so we wouldn’t have to take a massive financial hit on the months those expenses were due. That’s when we learned how to make a sinking fund. A sinking fund is not a complicated financial concept. In fact, it’s one of the simplest financial concepts to understand. Basically, a sinking fund is the act of saving a little money every month for a large future expense. Need to pay a $600 car insurance bill every 6 months? Put back $100 a month and the money will be there when you need it. Taking a summer vacation? Figure out how much you want to spend for your vacation, divide that number by 12 months, and save that amount every month until it’s time to head to the beach. You can also do the same thing for Christmas spending, saving for a car, or any other expense for something you want or need in the future. Before we learned how to make a sinking fund for our future expenses, Angie and I would often resort to credit cards to cover those expenses. But once we got smart and committed to never using credit cards again, we had to find another way. So we started using our envelope system to save money for future expenses of several hundred dollars or less. For larger expenses like cars, vacations and such, it’s more secure to put the money into a bank account and let it stay there until you need it. Once we started using sinking funds to save for our future expenses, our financial situation instantly changed! We had much less money stress in our lives and never had to resort to credit cards again! Best of all, since we now had everything under control financially, our money fights came to an end. We haven’t had a fight about money in almost 10 years now! So Why Don’t Most People Have Sinking Funds? Unfortunately, most people don’t use sinking funds to provide for their future expenses. Why is that? It’s because most people haven’t developed the patience to do it. We are a society that mostly focuses on immediate wants and needs. 6 months or a year is just too far away to think about when it comes to spending money. That’s what the credit card companies are banking on (literally!). They want to make it easy to pay for things right now. And the more you rely on them for that, the more you lose in the long run. Put together your own sinking fund today! Question: Do you use sinking funds already? 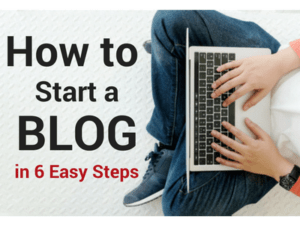 Do you plan to start? Leave a comment and let me know your take. Great information and thanks for sharing! This is a very interesting concept and is the first time I have seen anyone talk about it. I agree it might be a little difficult for us to start, but I think it is something we really need to consider. I’ve been using sinking funds for years, they work like a charm! I’ve been using my savings as a sinking fund since my husband’s death. Now I still have credit cards I need to pay off. How should I do that? Jo, the best way to get the credit cards paid off is to use what most people call the “debt snowball”. I like to call it the “debt rocket”. Either way, you can find an explanation at the link below. You will also find printable forms there to get you started. We do have a sinking fund. I can tell you that it wasn’t easy to create one. We had to be patient, make sacrifices, and exhibit a great amount of discipline. I can also tell you that the security it brings gives us a peace that is much greater. Thanks so much for the sage wisdom! It can be a little hard to get a sinking fund started, but once you do it makes a ton of difference in your stress level. I know my sinking funds have been a huge factor in reducing my stress level over the years. We now buy our cars and other big purchases with cash and it makes all the difference! I’ll never go back to doing it the old way again!